Saturday morning I did some skype sewing with my friend Marilyn. 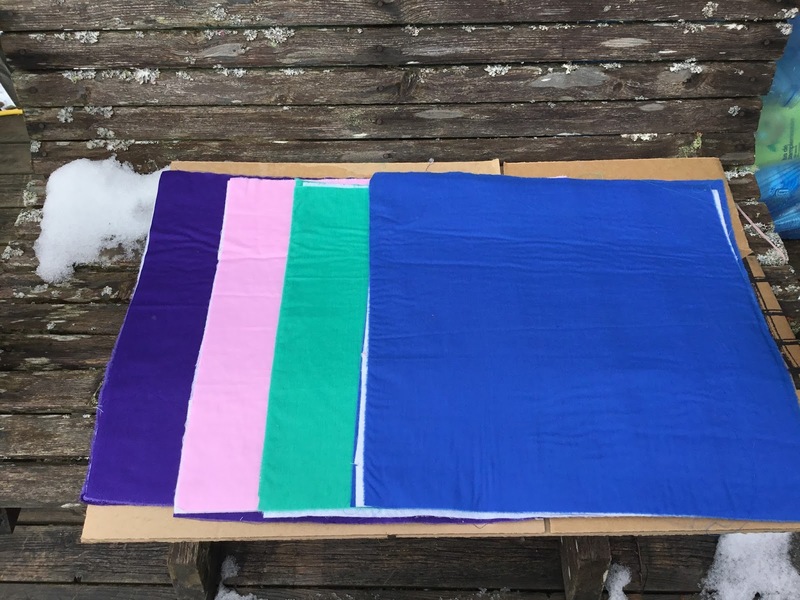 I was working on Bonnie Hunter's Quiltville Mystery "On Ringo Lake" quilt. I only have ten blocks left to put together and then can assemble the top except for the setting triangles which I haven't made yet. Wednesday was an all day sewing day! I attending the sewing session that my quilt guild holds every second week in the multipurpose room at a local grocery store. I decided to start a new project for this since I would be using a small portable machine instead of my regular heavy duty machine and different machines can give slightly different seam allowances. (This is my story and I'm sticking to it!) It had nothing to do with the spring quilts I've been seeing on line and my long time desire to make a basket quilt. 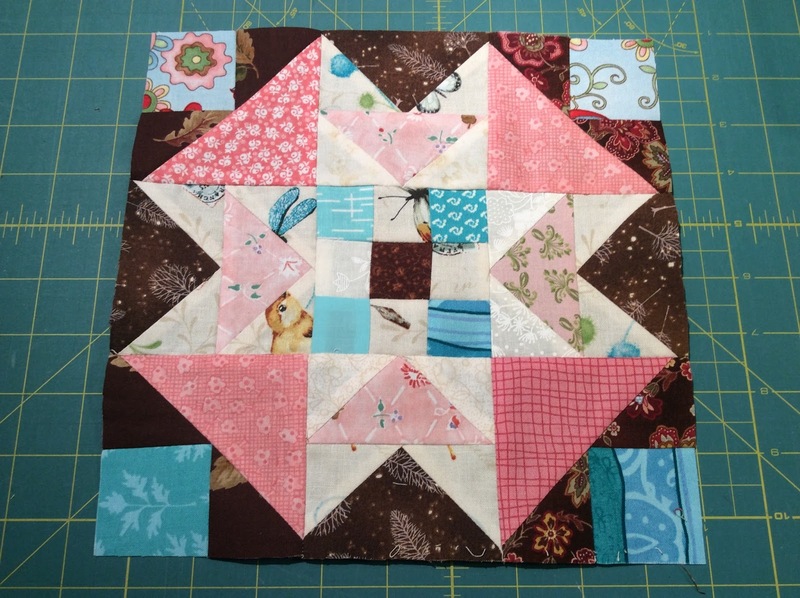 You can find the instructions for the quilt I am making called Fat Quarter Baskets here. It was designed by Lynette Johnson and was published by Fons and Porter. You can see the quilt here but do not download it from there as it contains a cutting error, use the corrected first link above. 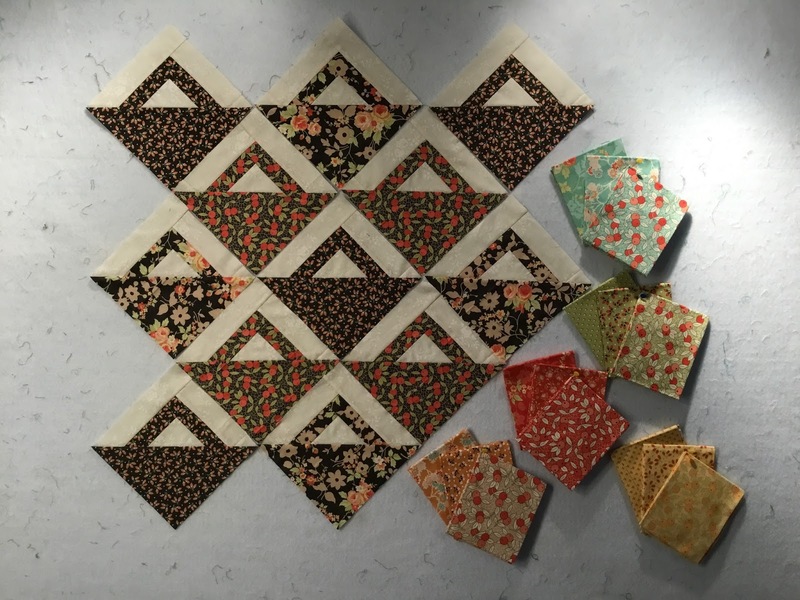 I was able to get twelve blocks made and am using 18 fabrics from a collection of 40 fat quarters called Chestnut Street by Fig Tree & Co by Moda which I bought at a really good price from someone downsizing their stash. Then I dropped the machine I took off my frame for servicing and to have the feed dogs put back in so I could use it as a regular machine and not just for free motion quilting. I had some time to kill so I dropped into a local quilt store and wandered around and only bought a half metre of fabric which was 50% off. Then I picked up my daughter from work and we went back to her place and did some sewing for an hour on the quilt we are making for her girlfriend's wedding. 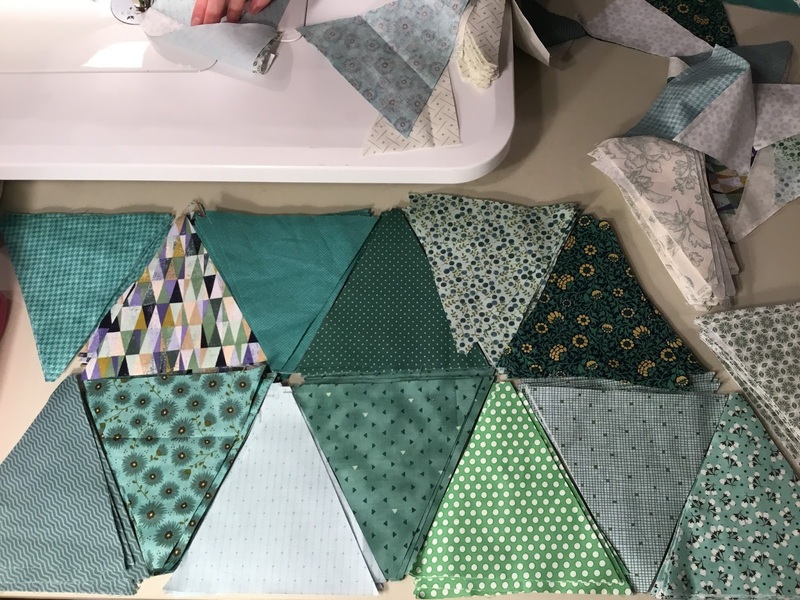 Thursday I sewed together batting scraps in order to make four 18" square quilt sandwiches to take to a Walking Foot and Intro to Free Motion Quilt Class I am attending this weekend which is being taught by a very talented fellow quilt guild member. I put the quilt sandwiches together out on the deck in the snow using basting spray which I had never used before. 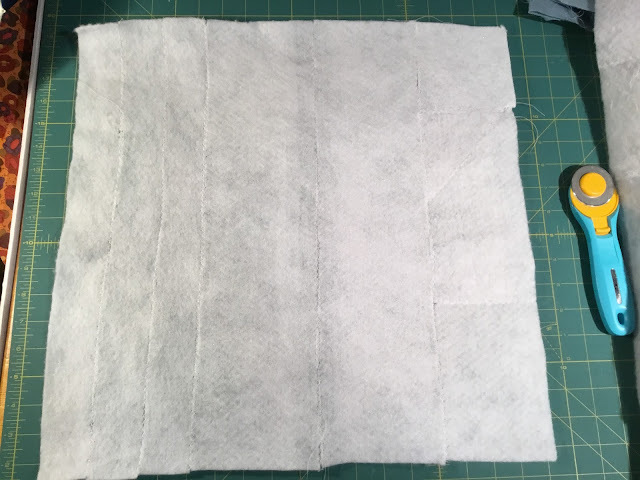 I was able to get enough fabric for the sandwiches from some old cotton/polyester fabric which I have had for a long time which made me happy that I don't have to use "good" fabric for practice. They are colourful at least! I am really looking forward to this class and hope to show you my class samples, unless they are too hideous! I Have a New Quilting Friend!